A two-week trial of North Carolina’s election law — one of the most sweeping changes in voting practices in the country since the U.S. Supreme Court dealt what critics consider a blow to the Voting Rights Act of 1965 — came to a close at the end of July last year, and a decision on whether the law discriminates against racial minorities was left to U.S. District Judge Thomas Schroeder. Closing arguments in North Carolina Voting Rights Act trial. Most court observers believed that Judge Schroeder would issue a ruling before the end of the year, which did not happen. On the eve of [the Voting Rights Act] trial, the legislature amended the voter ID portion of the overhaul to allow voters to cast provisional ballots without one of six specified photo identification cards. Because the change came so close to the start of the summer trial, the judge told the parties he would wait to hear arguments on that portion of the case. The trial over North Carolina’s voter ID law is set to begin Monday in front of U.S. District Judge Thomas Schroeder, a federal judge who was appointed to the bench by President George W. Bush in 2008. In North Carolina, voters will be required this year to use one of six specified IDs when they cast ballots — unless they can show they faced a “reasonable impediment” for getting one. The new rule is part of a 2013 elections law overhaul shepherded through the Republican-led General Assembly and signed into law by Gov. Pat McCrory, a Republican. Until 2015, when legislators added the “reasonable impediment” option, political analysts and others described North Carolina’s voter ID law as one of the most restrictive in the country. “In many ways, the amendment raised more questions than it answered,” NAACP attorneys said in a pre-trial brief for Schroeder. “The rationale for North Carolina’s originally enacting a photo ID requirement was to deter in-person voter fraud. North Carolina is one of 15 states with new election laws this year that voter rights advocates contend will make it more difficult to vote in a presidential election year. Voter ID advocates contend such laws are necessary to prevent fraud and ensure the sanctity of the ballot box. They argue that IDs are needed, that asking for them at voting booths is just an extension of that trend. When the trial opens in Winston-Salem, Schroeder will not have actual data from the polls to consider. The primary elections are set for March 15 and earlier this month Schroeder rejected a request from the voter ID challengers to delay the trial until after that. It is unclear whether Schroeder will rule before March, but appeals are expected and the question is unlikely to be fully decided before then. Many speculate that the U.S. Supreme Court will be the ultimate arbiter, and North Carolina is among the states being watched as one that could present that case to the country’s highest court. Similar reservations have come from Richard Posner, a federal appeals judge in Illinois who was appointed by Ronald Reagan and who was on a panel that upheld the Indiana law. In a piece in the New Republic posted Oct. 27, 2013, Posner elaborated on a sentence that stirred opponents and advocates of voter ID laws. The decision on the Indiana case, Posner said, was made without the empirical data that could have shown the good and bad effects of the law. Though Schroeder will not have evidence from the polls to consider at the North Carolina trial, there will be data and evidence showing the difficulties and ease of getting one of the six IDs specified under the 2013 law. The lawsuits filed by the NAACP, the U.S. Justice Department and others contend the photo ID requirement places an undue burden on blacks and Hispanics because they are more likely not to have a photo ID. A January 2013 analysis by the State Board of Elections found that 31.2 percent of registered voters who didn’t have a photo ID were black, even though blacks make up 20 percent of registered voters, NAACP attorneys have stated in court documents. A 2015 analysis, according to the NAACP attorneys, found that blacks made up 36 percent of voters who could not be matched to a database from the state Division of Motor Vehicles showing people who had acceptable forms of ID. Rosanell Eaton, a lead plaintiff in the case and a registered voter for more than seven decades, had to make 10 trips to different state offices in 2015 to get all the paperwork necessary to get a photo ID to vote. Attorneys for the state, though, have argued in court documents that Eaton’s case, like others submitted by the challengers, ultimately shows that she was not denied the opportunity to vote. Those who support North Carolina’s ID requirement have been optimistic since reading parts of Schroeder’s ruling against a request to temporarily block the application of the law until after the primaries. In a post at electionlawblog.org, Richard Hasen, a law professor at the University of California-Irvine, highlighted three key parts of the 54-page ruling that he said could be harbingers for future rulings. NAACP attorneys point out that emergency injunctions, as the request to block the ID request until after the primaries was, are extraordinary measures that require a high legal standard to win approval. The trial focus could shift from the burden of obtaining an ID to how the state Board of Elections and county boards will decide who does and does not have “a reasonable impediment” when trying to vote without an ID. South Carolina has a similar law. Evidence from S.C. elections since 2014 could play into Schroeder’s decisions. I will continue to track further developments in these voting rights cases. UPDATE: More background on this case from Think Progress. 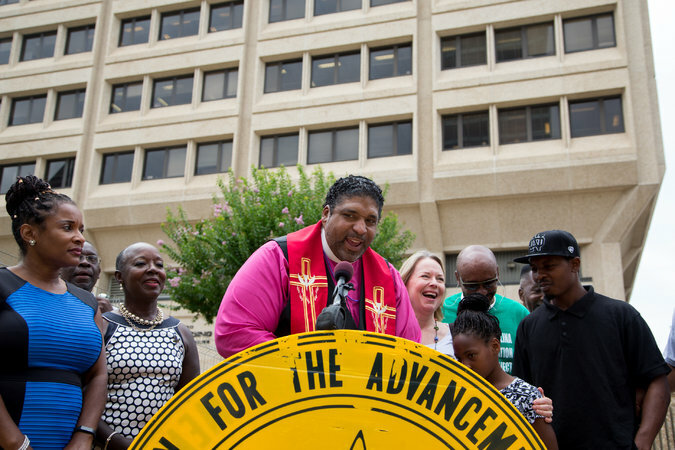 North Carolina GOP Accused Of Intentionally Suppressing Black Votes To Preserve Their Majority. Previous articleKansas’ dual election system ruled unlawful; whither Arizona’s dual election system?